Has Noel Edmonds Finally Lost The Plot With His Radio Station Aimed At Your Pets? 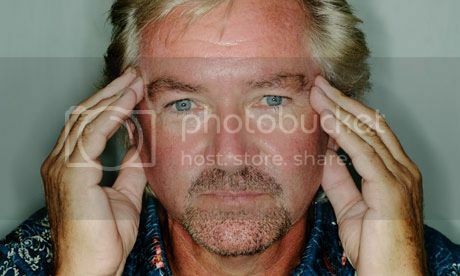 Everyone's favourite mullet wearing, box guessing, friend o’Blobby, Noel Edmonds, has denied claims he’s lost the plot. The TV host turned animal whisperer, yes that’s right, animal whisperer, was reacting to the news that he is to start a radio show for animals. ‘Positivity Pets’ hopes to launch by Christmas and is part of Edmonds’ ‘Positivity Radio’, an internet radio station which, as the name suggests, plays only positive content. Pet-owners will be able to send in messages for “their loved ones” and will also broadcast music requests, along with “special relaxing tones” for pets left at home alone. The pet radio station follows from Noel’s hit ‘Phone a pet’ service, which after it’s launch received over 2000 emails in just 4 hours, presumably from lonely old cat ladies wishing to hear Noel’s silky smooth voice. On his website, Noel.World, users can leave Noel a message, after which they and/or their pet, will receive a phone call from the man himself. Noel.World asks the important questions; “Where would we be without our pets?”,“ What would life be like without our feathered, furry, scaley friends?” the answer it seems is; “Pretty miserable”. To that end Noel wants to give something back to “our animal chums” by calling them up and giving down in the dumps pets a little pick me up. As he states on his bizarre website; “It’s amazing how a simple brief phone call can pick up the spirits of the most dejected hamster, the most stressed goldfish and the most neurotic cat”. We all know cats can be neurotic, but I have yet to see a stressed out goldfish and how it could hear Noels sumptuous voice through all that glass and water is beyond me.